Ok, so you know how I say I love winter and cold weather? I might take a liiitle bit of that back. While I absolutely love to dress cosy in huge comfy sweaters and scarves, I hate how dry and red my skin gets. And while I do enjoy a sheet mask every other day, I cannot afford to forget the extra layers of hydration. The face is where I immediately notice that something is wrong. It quickly gets super dry and red. If I have time, I do a 10-minute mask with aloe vera gel before my skincare routine, and works wonders in soothing my red skin. 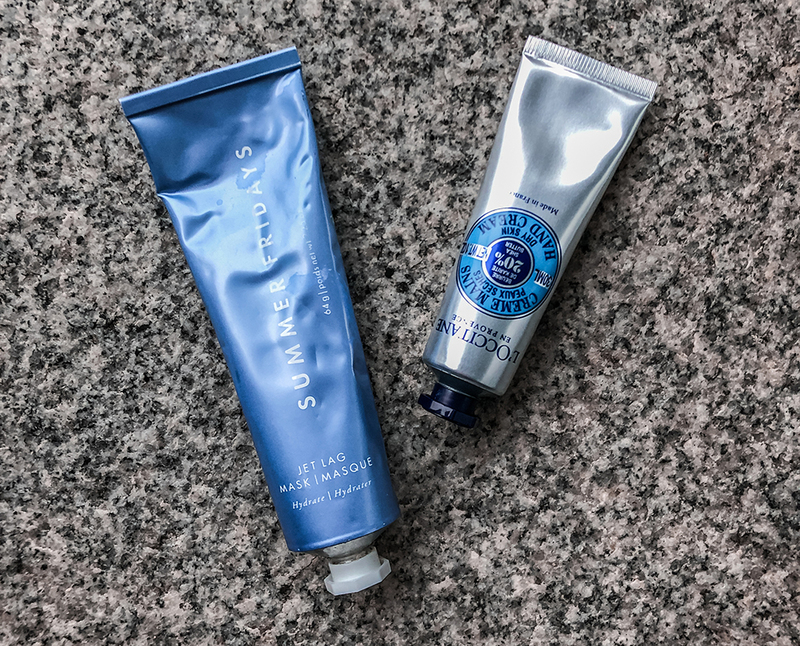 But one of my recent purchases has proven to be the best in helping me with this winter skin – the Instagram star, Summer Fridays Jet Lag Mask. Founded by blogger Marianna Hewitt, this cream actually lives up to its hype! I absolutely love it’s thick texture and a little goes a long way. This mask can be used as a mask or a normal moisturiser. I just slap on it a nice layer, then wait for it to absorb so I can add my SPF. While I purchased it through my sister, from overseas, it is possible to order it in Europe on cult beauty. I would apply on my lips nothing more than a lip balm, and then even if I reapply it throughout the day, I find myself with the driest and flakiest lips. I learned my lesson. Whenever my lips get super flaky, I get rid of the dead skin with a gentle scrub – the current one I’m using the Bubblegum Lip Scrub from LUSH. And afterwards I apply a generous layer of the cult classic lip sleeping mask from La Neige. I apply it at night and then in the morning and my lips are noticeably much softer! This lip mask is definitely a purchase that I do not regret. Am I the only one with super dry legs and elbows in winter? Actually, for me it’s like all year round. This is not only bad for the skin, but it’s also super itchy. It all starts in the shower where I use either the Eucerin pH5 Shower Oil and the Sephora sugar scrub (when I exfoliate). After I pat myself dry, I go on and apply my coconut body butter from The Body Shop – any body butter from them will do the trick. For the hands, my current favorites are the Charity Pot from LUSH (which can also be used all over the body) and the hand cream from L’Occitane (recent purchase that does not disappoint). For some hydration kick, try a hand mask or a foot mask (don’t forget about the feet). You can trust the great selection from Sephora. Are you also noticing the effects of cold weather on your skin? How are you adapting your skincare routine in dealing with it? Great post! I’m definitely going to get the Sephora Sugar Scrub as I also suffer with dry body skin. I love reading about people’s skin care routines! I have never used this brand before but skin care during the winter time has to be the most tedious routine ever for me because my dry skin shines through. Luckily where I live now doesn’t get too cold so it doesn’t take as much work. I’ve never heard of the first two products! I’m definitely going to look into these – thanks!